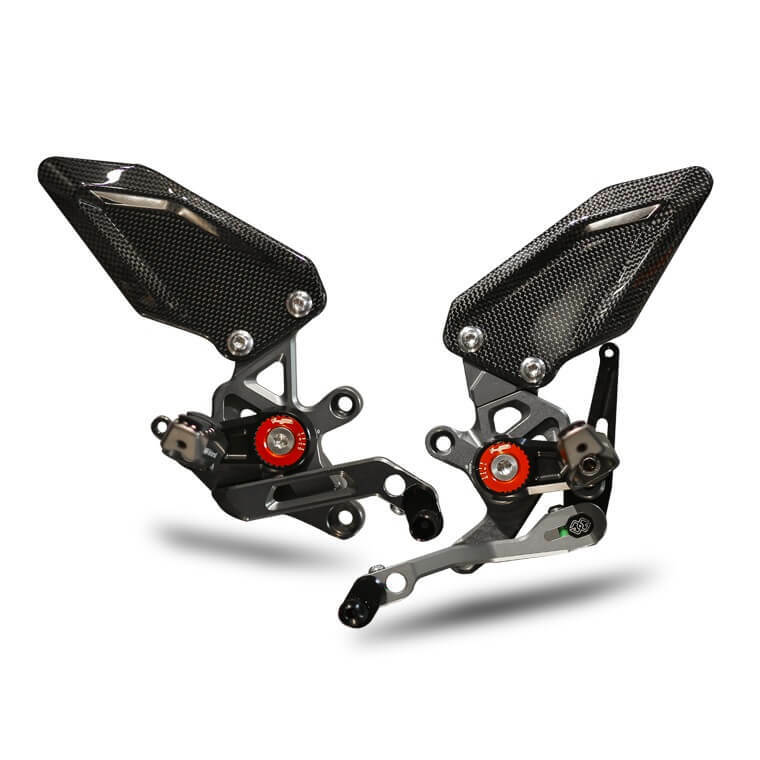 I have a complete set of HP rearsets for the S1000XR , They have been used once & are in "Mint condition/As new. RRP is £612 from any Motorrad dealer I am asking £400.00 for a quick sale. They will be listed on eBay shortly as well so if you are interested please contact me via a PM ASAP. These high quality, CNC-milled, rider’s footrests include the shift and brake levers, and will give your S1000XR a sport bike appearance. With a broad range of adjustment: the footrests are adjustable upward in 3 steps, downward in 1 step and in 5 steps toward the rear. The tread sections of levers are also adjustable. If these are still for sale I will have them.